What does it mean to be sanctified? According to Thayer's Greek Lexicon, the definition of sanctification is "consecration" and "purification." God’s children have been secured from the clutches of death to remain in His holy presence and righteous kingdom (consecration). But to remain in God’s presence, the child must be free of decay and rotting carnality (purification). Thus, God transforms the sinner into a saint through the purifying cocoon called sanctification. To be true, when a person turns to Christ and becomes a child of God, they are immediately called a saint, which is the title of those who are sanctified. Positionally, they are perfect in God's eyes. Practically, however, every saint is a work in progress and wrestling in the cocoon in order to break free from the world’s gravity and soar on the back of the dove. 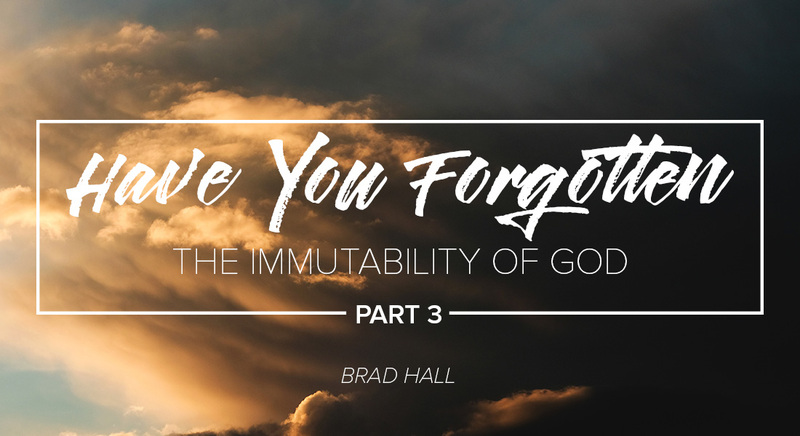 But our sanctification is foremost contingent on God’s immutability. In writing to the Philippians, the apostle Paul confidently stated, “He who began a good work in you will carry it on to completion until the day of Christ Jesus" (Philippians 1:6). God always intended, not only to save souls, but to transform them into the image of Christ, which includes making them perfect. But how does God do this? What is the process of sanctification? Oftentimes Christians assume being sanctified involves charitable service. And the more they serve God by doing good, the closer they feel they are to God, making them a better person or a good Christian. But is this God's process? Actually, God is much more interested in our hearts than what we do for Him. He wants us to seek His face and draw near to Him before anything else. Martha, in the midst of her frantic service, discovered this was the one necessary thing Jesus desired and an area she was struggling in (Luke 10:38-42). Though God can and does use our service to help sanctify us, it isn't His primary method. He starts within the intimacy of our relationship with Him. Therefore, our primary objective should be knowing God as deeply as possible. According to Jesus, this is what eternal life is all about, "knowing God" (John 17:3). When knowing God is our primary objective, the sanctifying work of God is far more effective. This does not diminish the ability of God's effectiveness in our lives. He is all-powerful, but it is of our willingness to allow Him to work in our lives. The fact is, we are God's project (Ephesians 2:10), and He will not rest until the work is finished since our sanctification is His immutable plan. Now if God is concerned primarily with the welfare of His people and not so much their charitable service, then should Christians engage in the work of God? The short answer is, yes. Of course! The second half of Ephesians 2:10 says we've been created in Christ Jesus to fulfill the good works He prepared for us. Before the creation of time, God prepared works for His children to accomplish. Since God is immutable (unchanging), the works of His hands are unchangeable. Meaning, there are certain things God has set in place for every one of His children to do. Things ranging from good deeds, to career paths, to ministry assignments. The psalmist wrote, “The steps of a good man are ordered by the Lord, and He (God) delights in his way" (Psalm 37:23). God has predestined our steps that we might accomplish His work and fulfill His will. But only the steps of "a good man" are ordered by the Lord. The good man is the person surrendered to God and walking in step with the Holy Spirit. And because they're close to God, God's desires have unconsciously become their desires so that the things they want to do are actually the things God wants them to do. Which explains why God delights in their way. The path they have chosen (of their own free will) and the tasks they're doing is the completion of the pre-planned works of God and the fulfillment of God's will. But the real reason God is delighted with them is because the completion of His works is born from intimate communion and sanctified thinking i.e. because their heart belongs to God, their mind is aligned with Christ's, and they're living to carry out His will. The bottom line is, God is longing for us to know Him that others may come to know Him through the tasks He calls us to perform. And the best way of fulfilling Gods immutable plans is by remaining close to Jesus. This relieves us of the pressures of trying to figure out the will of God for our lives. I wonder if the children of Israel ever grew anxious wondering if the daytime cloud or the night fire was going to move (Exodus 13:20-22)? Did they walk around looking up murmuring over the motionless cloud? Or did they rest in the assurance that as long as they remained under the cloud, they were in the center of God's will? Jesus is our cloud by day and the fire by night. As long as we remain in Him, we are being sanctified and fulfilling the will of God. Our work is knowing God. His work is changing us. When we realize this, then we can rest in His immutable plans and promises (Hebrews 4:1-3).